Matthew_Sotebier shared this project on Thingiverse! Have you ever used a banana hook before? They work great until your down to one banana then your hook will no longer hold the banana! This inspired this project. 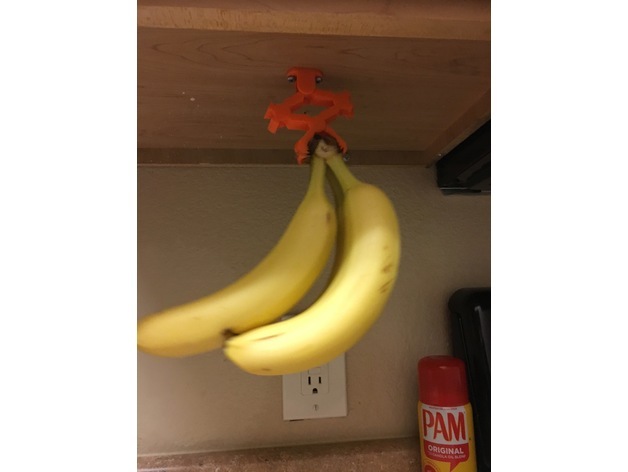 I wanted a way to hold my bananas because they are said to stay fresh longer if they are hung up. So I decided to use Gravity! The banana holder is simple you push up on it and the grabber opens then you let gravity pull down on the bananas and the grabber will grab hold. the heavier the bananas the tighter the grabber will hold them to ensure that they do not drop.